Costume Couture: Where to buy if you’re simply not a stitcher. Like any acquired skill, learning to sew takes time, practice, and weathering of both successes and failures to master. Where does that leave someone who adores wearing awesome outfits, costumes and cosplays, but doesn’t necessarily know their way around a sewing machine? Costume Couture is here to help! Looking for a Halloween costume? Try these trios! We’re heading into October, and that means that Halloween and opportunities to wear sweet costume creations are just around the corner! Some people plan what their chosen costume (or costumes!) will be way ahead of time, but others wait until the last minute. If you’re one of those individuals who is still wondering what it is you’re going to be, maybe this list of popular trios will offer some inspiration not just for you, but for your friends, too! Terra (Meghan) is not having any shenanigans from Raven (yours truly) and Starfire (Editor-in-Chief Sarah). 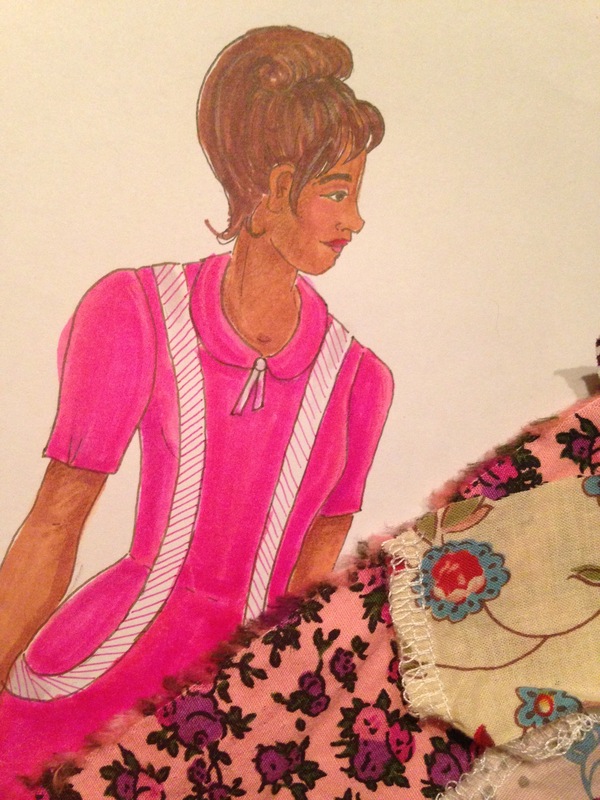 Costume Couture: Commercial Pattern Radness! Are you into creating your own wearable works on art? Do you not always have either the time, supplies or know-how to pattern or drape a garment from scratch? Luckily, whether you’re a seasoned stitcher or a beginning sewist, there are a plethora of commercial patterns at your disposal for your costuming needs. Some pattern companies are readily hopping onto the cosplay train, creating patterns that are inspired by current superhero, fantasy and sci-fi themes, while others have always catered to the historical recreationists, providing patterns based off of extant garments and other research. Today, I’m going to give an overview of some of the pattern manufacturers whom you might want to check-out when you’re next in the market to sew-up a new frock, suit or other outfit. With coloring books saturating bookstore shelves, and articles popping up about their calming nature, coloring is clearly gaining in popularity. Hey grown ups! It’s cool to color now! That’s super cool for everyone, whether you believe in the psychology of not, but it’s ESPECIALLY cool for the geeks. In the spirit of previous pieces like Wingin’ It and Getting Ahead, here’s a fairly easy (at least in comparison) sewing project for a fun and interesting accessory that could be a cool addition to a period costume or cosplay. Ruffs, like many historical garments, are a sometimes beautiful, frequently over-the-top and periodically perplexing item of clothing that originated around the time of the Northern Renaissance and saw many incarnations up to and throughout the Baroque Period. What started as a lacy collar attached to the neck of a doublet eventually became a separate piece of clothing that the wearer–usually upper class–had around his or her neck. Elizabeth I of England, artist unknown, c. 1575. The ruff accessory seemed to have originated in menswear, but it was soon incorporated into high fashion for all. Note the cuffs have the same treatment as the collar of this gown. Ruffs could range from dainty little things to ludicrously gigantic, and this particular embellishment saw numerous incarnations, starting as a heavily starched collar that eventually becoming a softer, but still rather voluminous and highly decorative, neck decoration toward the end of its popularity. For a really awesome and thorough pictorial history of the ruff, check out The Closet Historian! The Gal-lery: A Geekette Halloween costume flashback! As Halloween approaches as quickly as a banshee on a brisk October breeze, people are getting ready for a night full of candy, parties and, of course, costumes! A panda… that is also a vampire! Why not dream big this Halloween? The Geekettes are no exception to this annual celebration of the spooky. Last October, we shared an array of costumes past, present and future. This year, we wanted to treat (never trick!) our readers to an adorable retrospective of some of our favorite costumes from our childhoods! Welcome to round two of Vesture Vocab! As always, I hope to inspire your cosplay and costume imagination through uncommon or unfamiliar terms from a period of fashion’s history. Just like design details enhance an outfit, interesting words strengthen an individual’s lexicon. So feel free to use these apparel expressions in either capacity! Last time, I introduced the terms like farthingale, fibula and fichu, and their possible uses in your dress-up wardrobe. Keep reading for this month’s ensemble edification on coif, epaulette, fillet, kirtle, and poulaine. I like words, and, admittedly, I’m sometimes unnecessarily verbose. I am especially fond of random terms that one doesn’t get to hear every day. In all of fashion and costume history, there are an inordinate amount of words that fit this bill, and they’re like lexical little decorations for my knowledge of the subject. Similarly, there are all sorts of minor details that can turn a good outfit into a really great and interesting ensemble, costume or cosplay. In an attempt to combine these two concepts, I’ve assembled the following list. Here are some nifty words for Scrabble and crossword aficionados, or people who would just like to spruce-up their togs terminology! The Library, by Elizabeth Shippen Green.